Increasing fuel costs, increased competitive pressure and smaller profit margins are forcing companies that deliver goods directly to customers to find innovative ways to gain efficiencies and accuracy. Direct Store Delivery systems have increased efficiencies for direct delivery models everywhere by enabling a paperless system to assist with load processing and inventory tracking. From retail sales reps, warehouse and management to pack-and-peddle operations, DSD applications have helped to reduce errors, decrease days’ sales outstanding and increase customer satisfaction. Most companies in the industry have deployed a standalone DSD solution that has no way to talk to any other apps in the field, so companies today are looking for more. A complete DSD Solution Suite allows for more than simply tracking your deliveries; it combines the power of various apps to manage the complexities of various and sometimes unexpected processes. 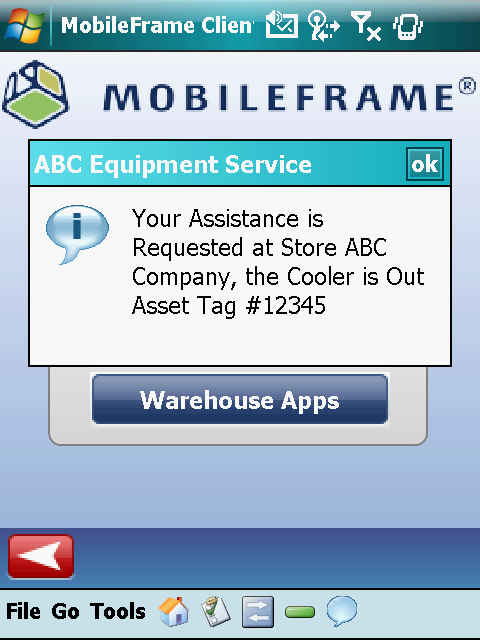 MobileFrame’s DSD Solution includes apps for Merchandising, Pre-Sales, Asset Tracking, Accident Reports and Field Service. The best news is that they are all tightly integrated together. Combining these processes into one suite of applications gives you the power to automate workflow from one app to another through the use of action based, real-time alerts.